Have you ever had the experience of suddenly seeing something everywhere after you begin studying it? Of having something 'on your mind'? That's what's happening to me with antagonists/villains. A few days ago Larry Brooks wrote an excellent article, The Flipside of Hero Empathy, about the importance of crafting an antagonist your readers love to hate, and how that generates narrative drive. I thought it was brilliant so I'm sharing it with you. It's all about the basics of the craft, but those are strangely easy to forget. "Your reader needs to feel something for your hero." We know this. We want our readers to care intensely about our protagonist and about whether he/she will achieve his/her goal. The antagonist is "the obstacle to the hero's question. Therefore a good antagonist will help build dramatic tension or what I call narrative drive. The antagonistic force tries to prevent the protagonist from acquiring his/her goal, often because the antagonist wants it, or something it would lead directly to. Also, the antagonist is often very much like the protagonist but with one crucial difference. For instance, Luke and Darth Vader were both strong in The Force and both trained as Jedi Knights. One could say that they both wanted what was best but they had very different ideas about what that was. Similarly, Dr. Belloq was Indiana Jones's antagonist in Raiders of the Lost Ark. They were both archaeologists, they were both passionate about finding and bringing back relics and they both liked Marion Ravenwood, Indiana's old flame. The big difference? People were more important to Indie than relics. Larry Brooks holds that if readers have both a) empathy for your protagonist and b) a strong desire to see the antagonist get what's coming to him (/go down in flames) then your story will have oodles and oodles of narrative drive, that couldn't-put-it-down-if-they-tried quality which most of us would like our stories to have. After all, if readers desperately not only want the hero to achieve his/her goal but want the antagonist to go down in flames then they will keep turning pages until that happens. I mention this killer (literally) television program [The Following] because it offers one of the most compelling, interesting and deliciously hateable villains, maybe ever. I haven't watched this series yet, though it's on my to-do list. Which antagonist(s) do you love to hate? 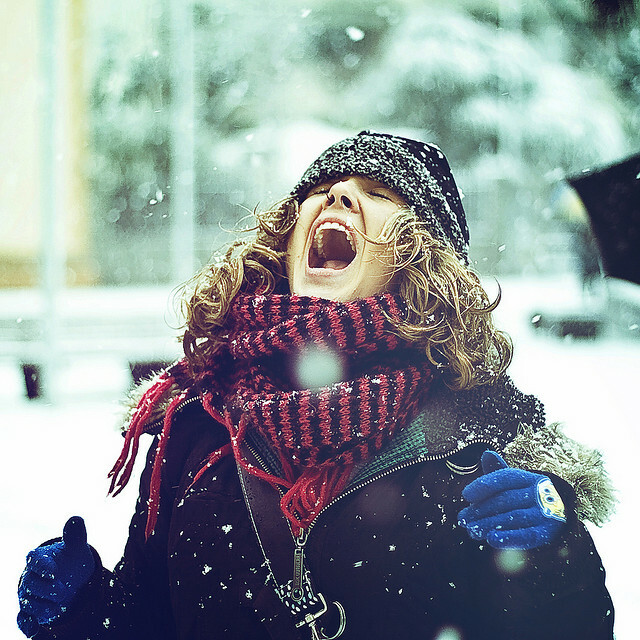 Photo credit: "Snow" by Luis Hernandez - D2k6.es under Creative Commons Attribution 2.0.